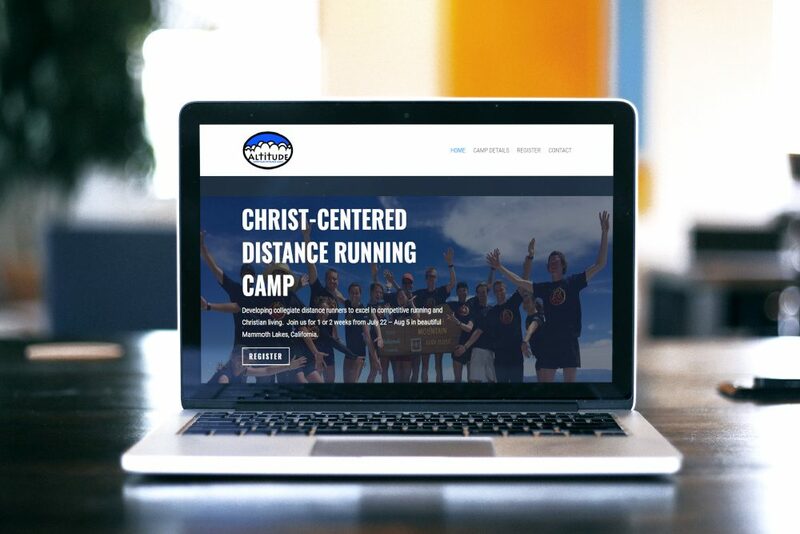 The ALTITUDE Project is a Christian running camp in Mammoth Lakes, California designed to help collegiate distance runners excel in competitive running and Christian living, and establish meaningful and lasting friendships among athletes and coaches nationwide. The ALTITUDE Project is a fantastic resource; I had the pleasure of attending the camp in 2008 and was a counselor in 2010. Sadly, their previous website did not exude the same quality that the camp has come to be known for. It was outdated and operating on old technology, to say the least. After receiving multiple (negative) comments from campers at the 2017 ALTITUDE Project, the Board of Directors decided it was time for a change. I had the pleasure of designing the entire site as well as write the homepage copy. As you can probably guess, signing up for a 2 week long camp in a location you’ve never been to, with a bunch of people you’ve never met, is a big commitment. That’s why we needed to provide a ton of relevant content about ALTITUDE Project so prospective campers could make an informed decision if ALTITUDE Project would be right for them. This was by no means a small project. The end result is a site with longer static pages absolutely loaded with images of camp and quality written content. Our goal was to really sell the experience of ALTITUDE Project (while being genuine!) as well as get deep into the nitty gritty details needed for someone to complete their registration and make travel arrangements. We were able to do all of this while also keeping a bright, playful aesthetic that would appeal to a younger audience. 2018 will be a rebuilding year for The ALTITUDE Project, and I’m excited for how the website will help build the camp back up to the level of its former glory days and beyond. Thai Fresh Gardens and Sushi opened its doors in early 2018, offering provincial Thai cuisine along with fresh and attractive sushi plates. Their goal is to provide authentic Thai food unlike anything Eastern Oregonians have ever experienced, and they seem to be succeeding. Thai Fresh’s food gets rave reviews. Thai Fresh needed to get the word out about their newly opened restaurant and they are currently facing several challenges that we are seeking to solve through digital marketing. The first challenge is that Thai Fresh is competing against long-established restaurants that are local standbys. This means, for one, that Thai Fresh gets less repeat customers and referrals simply because they haven’t been around as long. Also, the other restaurants in town have had longer to build up a greater quantity of reviews online, which is a big local SEO ranking factor. The second challenge is that they are located in the basement of a small, boutique mall called The La Grande Marketplace. This means that few people driving through La Grande will be aware of the restaurant’s existence. Because of these challenges, Thai Fresh has come to rely on their online presence in order to draw new customers into the restaurant. Our first order of business was to launch a new landing page for Thai Fresh at www.thaifreshgardens.com. We started with a basic landing page and have gradually built out the website to include much more information. We wanted website visitors to be able to find the information they wanted quickly, so we made it really easy to find the restaurant menus, call the restaurant, and order ahead. 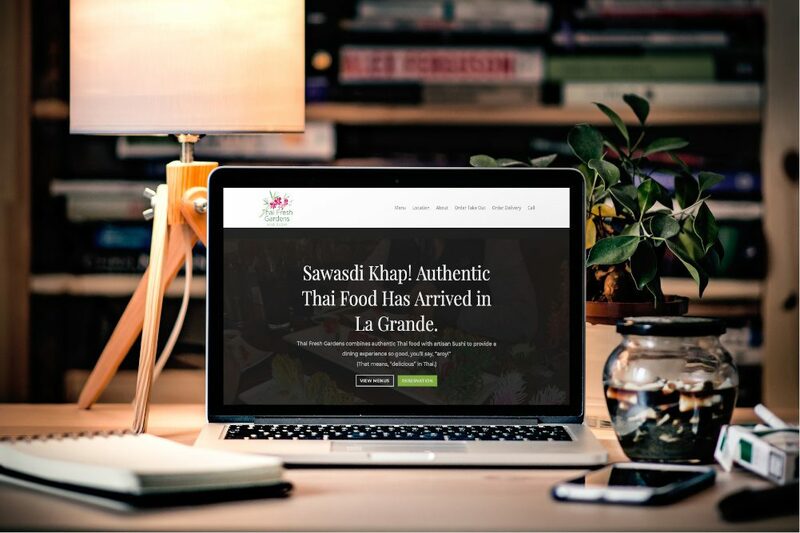 Our strategy was to balance functionality, SEO goals, and mobile experience with Thai Fresh’s aesthetics and design goals. 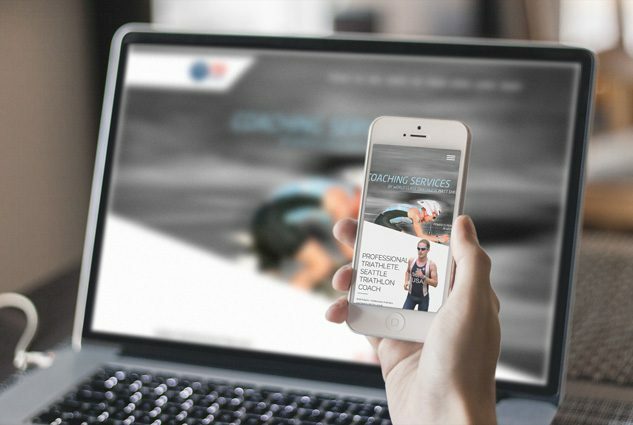 The end product is a website we feel is superior to 99% of restaurant websites in Eastern Oregon in overall performance. Now that the site has been launched, we’ve expanded the marketing efforts to include local SEO and social media marketing, and hope to add email marketing to the mix soon. Thai Fresh currently ranks 10th for the keyword “restaurant la grande oregon,” which gets 1,000 searches monthly. If we are successful in increasing this ranking through White Hat SEO techniques, we believe Thai Fresh will receive an increase in walk-in traffic from travelers that are passing through La Grande. The Friends of the Sumpter Dredge are an enthusiastic group of individuals dedicated to preserving and restoring the Sumpter Valley Gold Dredge. They also provide educational and interpretive experiences highlighting the history of the dredge and gold mining in the Sumpter area of the Blue Mountains. As a non-profit organization, the Friends of the Dredge wanted to both highlight the dredge itself and promote their organization with their new website, now located at www.historicsumpter.com. In addition, the Friends of the Dredge wanted to feature other recreation opportunities and historic sites throughout the area. Increasing visits to the The Sumpter Valley Dredge Heritage Area, advancing donor membership to the Friends of the Dredge, and providing visitor information and increasing recreation and tourism to the Sumpter area are all large feats in themselves. 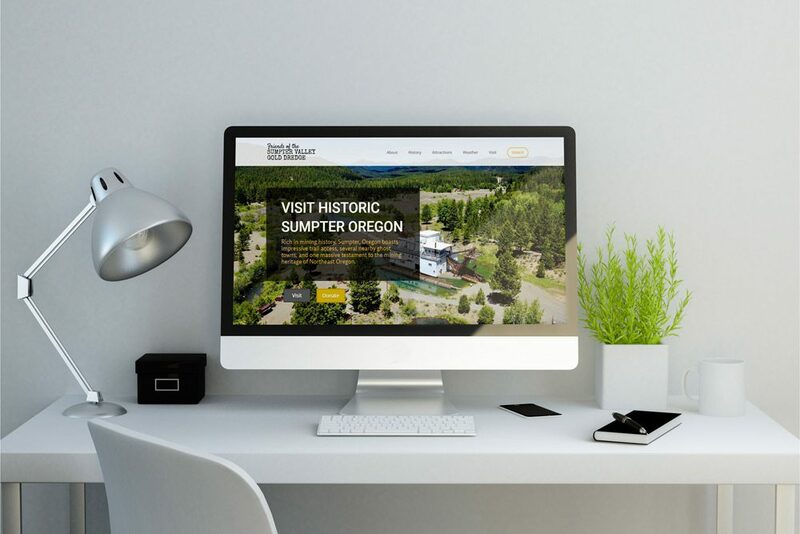 With several objectives inherent in the project, the content strategy and wireframes were critical to the success of www.historicsumpter.com. Fortunately, the Friends were able to provide a wealth of visual and written assets at the beginning of the project. As a bonafide historical destination, much had already been written about the Sumpter Dredge. In addition, the Friends of the Dredge had done an excellent job preserving and collecting a massive amount of images, including digital copies of the dredge being built in the 1930s! As I looked through the impressiveness of the content provided to me, I knew that the history of Sumpter was something that had to be shared online. Now, the only hard part was going to be organizing the content, making it amenable for the web, and gearing it towards historicsumpter.com’s target audience. Fortunately, the Friends gave me full creative reign over the project, allowing me not only to design the site, but also to write the vast majority of the content. Through excellent planning and sticking exactly to the core process espoused at MattSheeks.com, The Friends of the Dredge and I were able to create a website that is not only extremely visually pleasing, but is also incredibly functional and informative. Now all that’s left is to continue promoting the website so that the Sumpter area can get the attention it deserves! Results: Despite being a newly launched site, www.historicsumpter.com is already ranking for several high-volume keywords related to Sumpter, Oregon, and it’s attractions. Dave was never much of a praying man in the past, so he decided to start an experiment where he prayed 30 minutes a day, and chronicled his results. But, Dave needed a platform to share his findings. Before developing the site, Dave was able to devise his content strategy using an article and worksheet from Copyblogger. 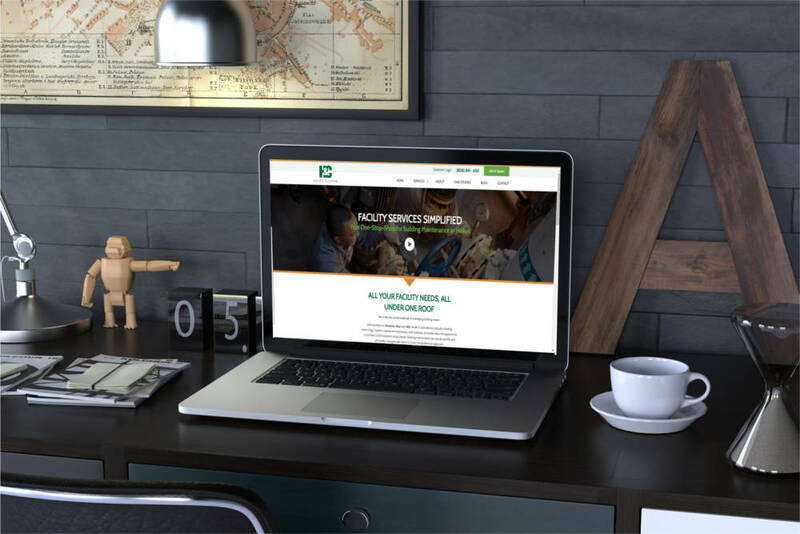 Armed with a mission statement, target personas, publishing and promotion schedules, we were ready to design and develop the site. Because the site was oriented around the blog. we needed to draw readers into different types of content. What we ended up with was a homepage that highlights content based on his target personas, as well as most recent articles. As the subject of the site is essentially Dave’s challenge to himself, we also went heavy on the About section. Dave’s hope is that others can resonate with his challenges and draw encouragement from his experience as he prays 30 minutes each day. 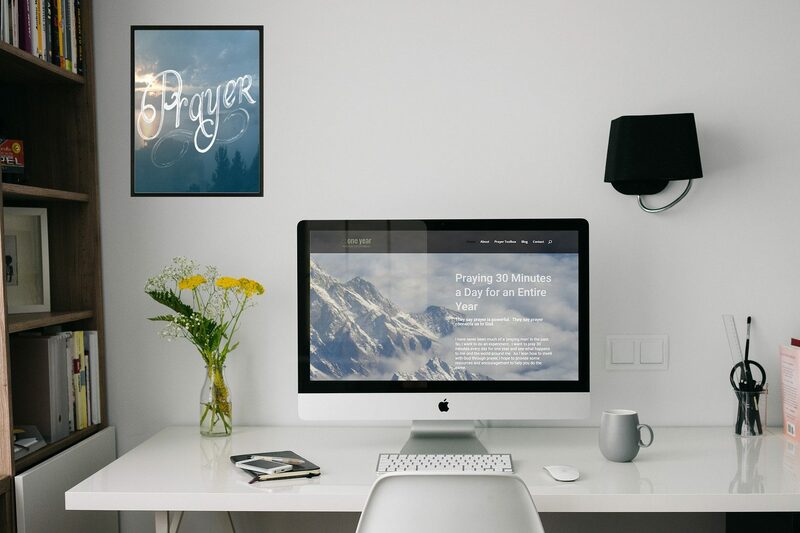 Dave is regularly developing free guides and articles on prayer, which means we are consistently adding sections and pages to the site. Check him out at One Year Prayer Experiment. EOU In Action’s goal as a campus ministry on the Eastern Oregon University Campus is to make an eternal impact by bringing a true knowledge of Jesus Christ to EOU. EOU In Action does this through (a) fostering spiritual dialogue and (b) study of the Bible. Having a central platform to share information is critical for any ministry group that may have multiple meetings and objectives per week. EOU In Action is no exception. For EOU In Action’s website, we decided to keep things simple and clean. College students can easily find how they can get plugged into EOU In Action with prominent calls-to-action and critical information about upcoming meetings. 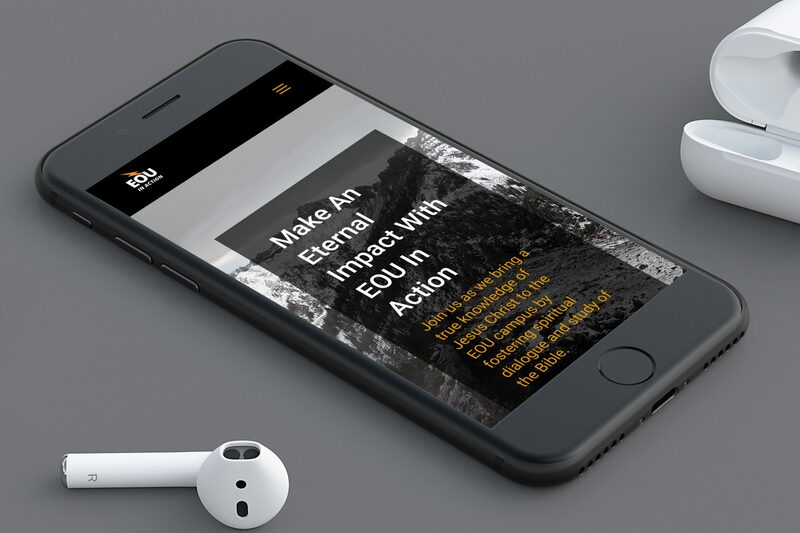 A blog feed rounds out the homepage with stellar articles written by EOU In Action staff on a variety of spiritual topics. This was a really fun project, especially concerning the logo. Our very own Jessica Sheeks drew inspiration from the Gatorade logo in order to draw a sports connection, as the ministry emphasizes reaching out to the athletic department at EOU. So how about you? How are you going to make an eternal impact? Partnering with EOU In Action might be a good start! Heide and Cook is a Hawaii based building maintenance and HVAC company. They have a massive breadth of services, from HVAC, to elevator maintenance, to fire protection services. I developed their website marketing plan, wrote the homepage and several of their high priority pages, then coached them on how to construct the rest of their copy. Heide and Cook was very receptive to my ideas which resulted in an outstanding end product. One of my first copywriting projects was of course one of my own sites! I really wanted to communicate my strength, which is helping people get fast and setting personal bests. I used the PASTOR copywriting framework to help me think about how to structure the copy, and I think it worked out really well. Do you agree? Check out http://tritheos.com. Mark Schaefer is a professional magician located in the Seattle area. 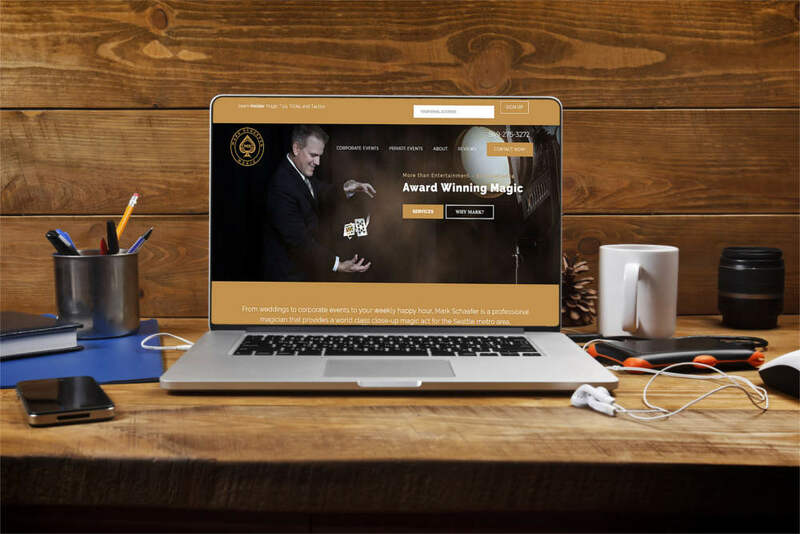 Mark needed to invest in a new website because he was losing gigs to other magicians that had websites where prospective clients were able to investigate the magician’s skill set. I had the privilege to write the copy for his homepage as well as his service pages. I’m really proud of a couple of the headlines I came up with on this one. For the homepage the headline I landed on, “More than Entertainment – An Experience,” which I believe this captures the unique value Mark provides as an entertainer. 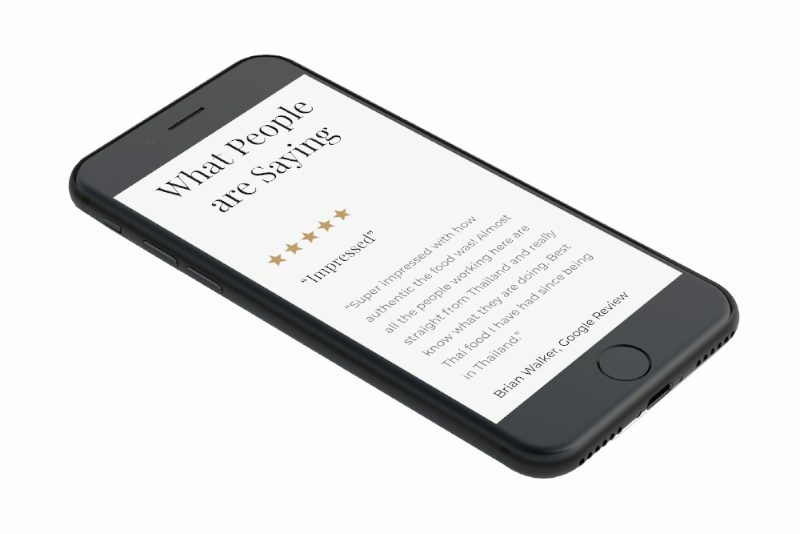 Instead of a bland titling of the reviews page, I used the headline, “Others Who Have Experienced the Magic.” It’s the small touches like these that lead to a successful project and a website that now generates leads for Mark and lands him more gigs.